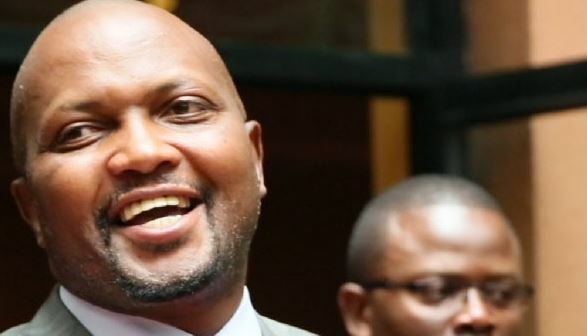 Gatundu South MP, Moses Kuria, has been elected the National Assembly Vice Chairperson of the Transport, Housing and Infrastructure committee. The controversial lawmaker thanked his colleagues after the election for giving him his new role and issued a small speech on what he will do to Kenyans after being elected as the V. Chair of the influential committee. “Thank you, members, for the confidence.,” Kuria said. Meanwhile, Kuria has been ordered today to pay Narc Kenya chairperson, Martha Karua, Sh 6.5 million for defaming her. The High Court made the ruling in a matter where Kuria claimed that the NARC Kenya leader procured witnesses to fix Deputy President William Ruto during ICC cases. Karua demanded Sh20 million from the MP in damages for defamation.